In America, the alcoholic beverage industry is responsible for more than $400 billion in economic activity every single year. That’s a lot of cash! Of course, it’s hardly surprising considering just how widely consumed alcohol is; 63% of Americans drink liquor, wine or beer regularly. That last statistic has many health experts concerned. 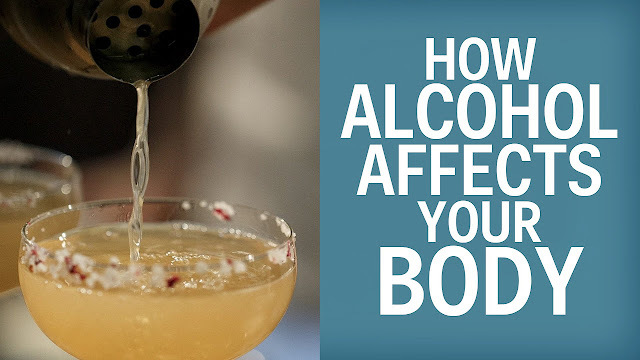 You see, regular alcohol consumption impacts the human body in some remarkably bad ways. Half a million people die annually from these and other alcohol-related cancers. Alcohol causes cancer in a number of ways. For one, your body quickly converts the ethanol in alcohol to acetaldehyde – a carcinogen that damages both DNA and proteins. Alcohol also stops your body from properly absorbing several nutrients that are crucial to fighting cancer, including vitamins A, B, C and D as well as carotenoids. Research has shown that drinking as little as 2 ounces of alcohol per day negatively impacts your pancreas, the organ responsible for absorbing calcium. And what happens when your body doesn’t get the calcium it needs? Your bones grow weaker and your risk of osteoporosis goes up. Regular booze consumption also increases your body’s production of cortisol and parathyroid – two hormones that damage your bones, making you more likely to suffer frequent fractures. While booze might make you feel alive in the moment, its overall effect is that of a depressant. Drinking even small amounts regularly can rewire your brain and lower its serotonin levels. This is particularly dangerous for people with existing depression; such individuals are twice as likely to begin drinking, making their symptoms worse. This negative health effect kicks in the moment you start drinking. Alcohol causes dehydration by decreasing your production of anti-diuretic hormone. Your body uses this hormone to absorb water after urination; in its absence, your body loses water faster than it can be replaced. Dehydration causes abnormal blood pressure, rapid heart rate, fever, sleepiness, constipation, dizziness and headache. Drinking regularly – even at quantities that do not produce intoxication – significantly increases your risk of liver damage. Alcohol stresses the liver, which is responsible for removing harmful substances from your blood. This results in damage, and even death, of liver cells. Alcoholic fatty liver disease, alcoholic hepatitis and alcoholic cirrhosis are all liver-related conditions caused by drinking heavily. How Much Booze Is Safe? So here’s the thing. Experts say there really is no ‘safe’ level of alcohol consumption. No matter how little you drink, if you drink regularly enough you will damage your body. That said, particularly risky drinking is classified as more than 5-6 pints of beer, or 6-7 glasses of wine weekly – for both men and women. So what’s the take-home from all of this? Well, drinking is something that should not be taken lightly. Your body would certainly be quite grateful if you cut back – or even stopped drinking altogether. Check out this video from David to learn about the realpurpose of alcohol that commercial brewers have lost sight of!